What Will They Do? How Far Will They Go? 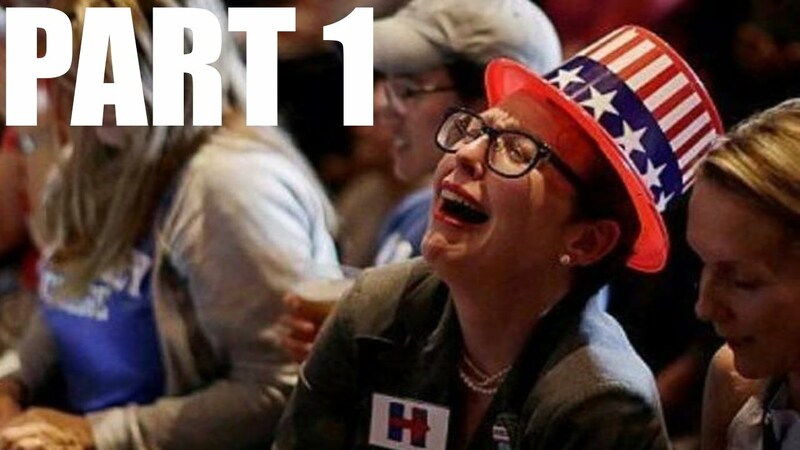 The Mueller report has been finalized, the left wing is disappointed, what will they do now? The Mueller investigation has been completed, and after two years of search warrants, hundreds of witnesses interviewed, thousands of subpoenas, grand jury testimony, ruined lives, and a president and nation waiting expectantly for an outcome, the results revealed no collusion with Russia, while raising uncertainty on obstruction of justice, which in the immediate meant no vindication for the president. After a review of the 300-plus pages of the report, Attorney General William Barr together with Robert Mueller issued a four-page summary that determined, based on an absence of evidence, there was no obstruction. Following this, Democrats and their frustrated, hysterical supporters in the media, both mainstream and social, Hollywood, and especially on cable news, were beside themselves, demanding to see the report in its entirety. The unhinged apparently believe either the Attorney General is fabricating the results, or there is something in there that if closely scrutinized could be revealed. Mr. Barr has issued a statement that the full report with redactions will be forthcoming around the middle of April; the Democrats insisted that the report be in their hands by April 02, which did not happen. What will Democrats do, where will they turn, and what will the fake news media report on for the next two years? Perhaps with a little imagination they could create something, anything, out of 'whole cloth.' So while the Trump detractors wallow in misery, emotionally and mentally frustrated, prisoners of their own hate and intolerance, and at the mercy of a president that has consumed much space in their angry disturbed minds, they must decide what is next on the agenda, for their goal is to undermine and hopefully destroy this president. The New York Post made a mockery out of the never-Trump crowd; it outdid itself and reminded many of us of some of the key players. Under the headline “Mueller Madness”, the newspaper created a flowchart-like rundown, along the lines of the March Madness basketball brackets, which included most of the deranged Trump haters broken down by genres: print media, cable news, network news, and social media. To name a few from each genre: Rachael Maddow, Morning Joe Scarborough, John Brennan, Bill Kristol, Brian Ross, Stephen Colbert, Paul Krugman, Max Boot, Alec Baldwin, Jimmy Kimmel, Kathy Griffin, Joy Behar, Lawrence Tribe, Robert DeNiro. Each was given a madness rating from 1-8, this was based on the number of participants in each group; the higher the rating the greater the derangement. In its entirety the bracket included over 32 individuals. I could have added 32 more. And the first place prize in all genres went to - drum roll - cable news’ Rachael Maddow for what I believe were her daily rhetorical flourishes that at times reached heights of a hysterical and emotional tantrum. She has been the resistance's soundboard and a stalwart conspiratorial mouthpiece. And Ms. Maddow’s prize for her winning performance was the loss of over 500,000 viewers on the Monday following the report being issued. CNN fared no better. With few exceptions, in both the Democrat party and media, one thing they will not do is eat crow, throw themselves on the mercy of the nation, and explain to the American people that they were mistaken, and then beg for forgiveness and tell us this will not happen again. The Democrats will explore new avenues of investigation, while their unruly party contends with internal conflicts. And the results will be no policy initiatives, no new legislation, only get Trump. They will prove to the American people that they stand for nothing and are good for nothing. The French statesman and military leader Napoleon Bonaparte once stated what most of us know to be true, “In politics stupidity is not a handicap;” we can include journalists and the media in this bit of wisdom. This is indeed a sad commentary and is beneath the American people who deserve better.